"Dwyer kanaaltemperatuurtransmitter Model: BTT-D04-1 Uitgang: 4-20mA Lengte: 100mm Kanaalmontage met junction box "
"Dwyer kanaaltemperatuurtransmitter Model: BTT-D04-2 Uitgang: 0-10V Lengte: 100mm Kanaalmontage met junction box "
"Dwyer kanaaltemperatuurtransmitter Model: BTT-D08-1 Uitgang: 4-20mA Lengte: 200mm Kanaalmontage met junction box "
DescriptionThe BTT series temperature transmitters are ideal for measuring temperature in air ducts. Sensor lengths of up to 450 mm insertion are possible for duct mounting sensors. The plastic terminal box with fastening tabs makes the installation easier. 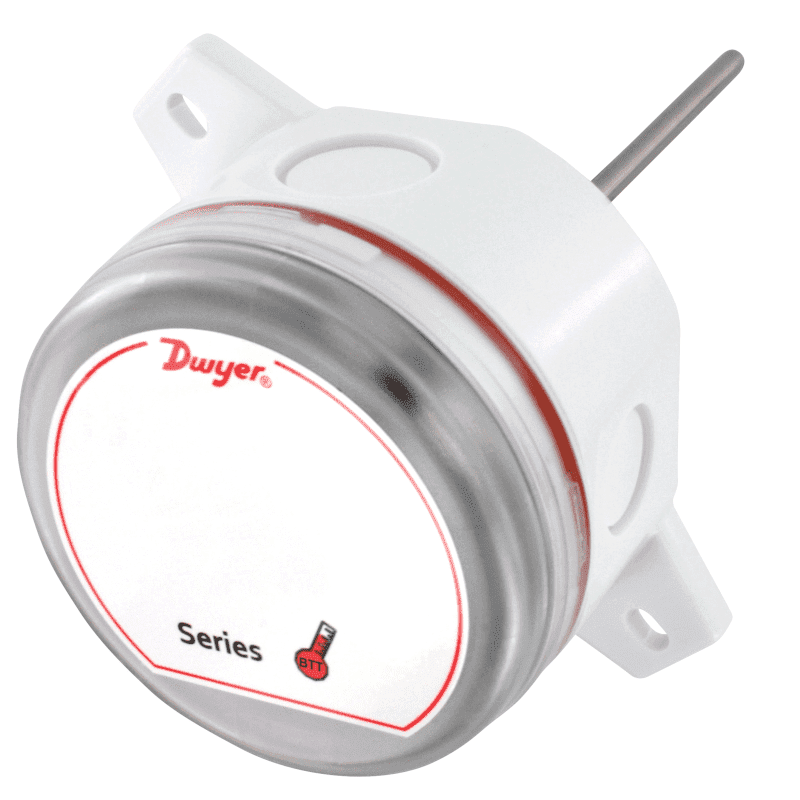 The BTT series temperature transmitters are ideal for measuring temperature in air ducts. Sensor lengths of up to 450 mm insertion are possible for duct mounting sensors. The plastic terminal box with fastening tabs makes the installation easier.